"One Team, One Dream" is a mantra used by Matt, Stephen and Paul a.k.a the Izzo brothers; a trio of ultra-runners that have gained a substantial following on Instagram (@IZZOULTRATRUNNING). All in their thirties and with families of their own, they found running as a way to stay in touch. "Growing up in a military family, with a new school each year, it was always important for us to stay close". Everyone knows the challenges of balancing family responsibilities with work and fitness, but for the Izzo brothers, its running that keeps them close, "we started focusing on our physical and mental health, meeting at races throughout the country as ultra runners." With many runners opting to race and run as lone wolves, the Izzo brothers make for a nice change. "We are all vegetarian and love to eat clean, simple foods that help us feel good and sustain our training goals. We strive to keep our mindsets light, passion and as positive as possible." Did you all start running at the same time or was it one of you who was particularly interested in running at the start? The oldest (Paul) started running first. He signed up for a half marathon and claimed it was the hardest thing he ever did. Once the rest of us started running, our competitive natures got the best of us and before we knew it we were all talking each other into running Ultra's! Everyone has a story behind their lifestyle choices, but when it comes to trail running, what was your motivation/inspiration for taking it up? It just naturally happened as we moved into Ultra Racing. More than a majority of ultra-races take place on trial and some of the first trails we ran were on trails, now we can’t get enough of them! It is the perfect balance to offset sitting at a desk all day. What has been the best race in the past, and do you think it went so well? The Rocky Raccoon 100 miler we completed in under 24 hours. It was our goal from the beginning and so many times you are disappointed in running goals you set. It super awesome to complete a goal together and feel that excitement together. It wasn't the most scenic course, but we stuck together the entire time and really fed of each other's energy. We showed real improvement in sufficiency and we are shooting for a sub 20-hour 100 miler at the Javelina Jundred taking place in October. Have you ever had any disasters or bad moments during a race or run? Absolutely. I can honestly say that this is where you earn your stripes and learn about yourself/life in these moments. Every obstacle is just that... an obstacle. It's meant to be conquered, you just have to find the right attitude to battle through it. A short example of this is the North Face DC 50 miler. We all bonked... bad. Bonked like, bonked at mile 35 and had to walk it in. From this failure, we were forced to look into different fuelling options during races and in return led us to our first successful 100 miler. So you have a relatively good amount of experience in a variety of different races, so where are your favourite places to run? We love it all... A few ounces of water, a few mountains, maybe some shade here and there. We are down to run it... give us a call, we will be there with a smile. What races in the future would you like to explore next? We would love to do Leadville or Western States. These are what we will be working for the next few years. 100%. We feed off each other. 100-mile Ultra's we stick together as we only do a few of these a year and the real goal is just to finish. 50's and below we usually race each other... it can get pretty competitive as all of us our pretty equal runners and ultra-racing can be a fickle sport depending on the day. The winner for every race is up in the air and that's what makes it a thrill between us! Go slow and just enjoy the day. You will be out there a long time. Smile, stay positive, and buy into the ultra-spirit. 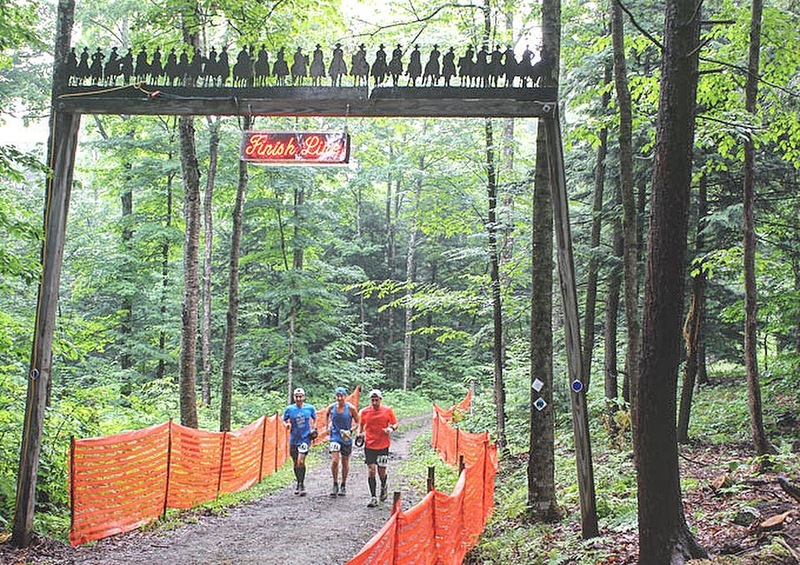 In many ways ultra-races can seem easier than a marathon or even a 5k. It's about survival vs short bursts of athletic glory. Keep the mind right and the body will follow. Finally, what are your ambitions in the future? We all want to qualify for Boston, run a sub 8-hour 50 miler and a sub 20 hour 100 miler.